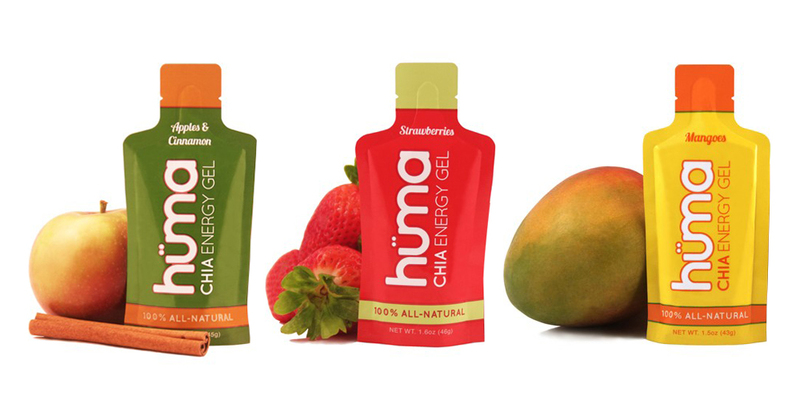 Hüma Chia Energy Gels are great tasting, 100% all-natural, easy to swallow energy gels. The gels are made with 100% fruit and Real Food ingredients combined with finely blended Chia seeds. The combination of the high water/real food ingredients formula makes Hüma easy to swallow. Plus, Hüma Chia Energy Gels are Gluten & Dairy Free and Vegan Friendly. Hüma believes in having the very best performing product. Extensive research backs up each carefully chosen ingredient.